World number two player, Rafael Nadal, Thursday described Australia’s Nick Kyrgios as “lacking respect for the public, the rival and himself”. 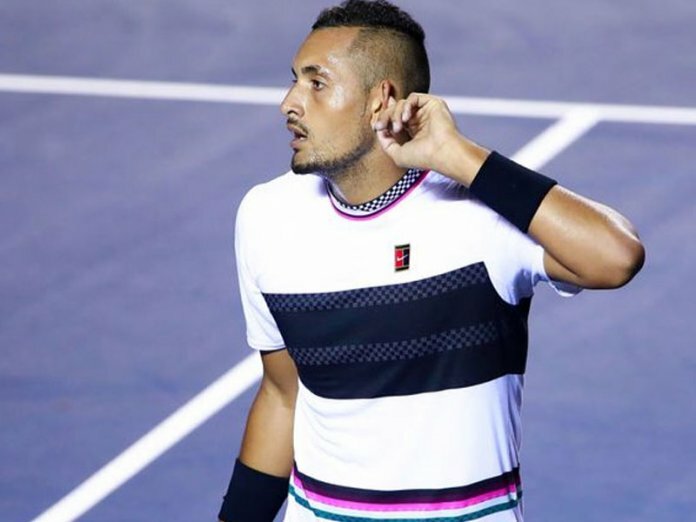 The 17-time Grand Slam champion lost a dramatic second-round match to world number 72 Kyrgios 3-6 7-6 (7-2) 7-6 (8-6) at the Mexican Open in Acapulco. Kyrgios served underarm late during the match against the Spaniard. Kyrgios saved three match points before beating Nadal, who was playing his first tournament since losing to Novak Djokovic in January’s Australian Open final. “He is a very dangerous player but lacks consistency,” Nadal added. Kyrgios, 23, saved nine break points in the match and came from 6-3 down in the third-set tie-break to win in three hours and three minutes, before falling to the floor in celebration. “I’m different, Rafa’s different,” said Kyrgios, who will play Switzerland’s Stan Wawrinka in the quarter-finals. “He doesn’t know the journey I have been through. He doesn’t know anything about me so I’m not going to listen at all. “That’s the way I play. He’s very slow in between points. The rule in the book says you have to play at the speed of the server. Rafa has the speed every time. At the end of the first set, Kyrgios complained to a trainer about feeling ill but said he did not want to retire because he was wary of a possible backlash. He saved four break points in the ninth game of the second set, and a further five in the sixth game of the final set. Nadal took only one of his 10 break point chances in the match. In the women’s draw, American top seed Sloane Stephens suffered a shock 6-3 6-3 defeat by Brazilian qualifier Beatriz Haddad Maia.